Now I see why it said “Good luck…”. 🙂 Plenty of enemies trying to blow up the ship! 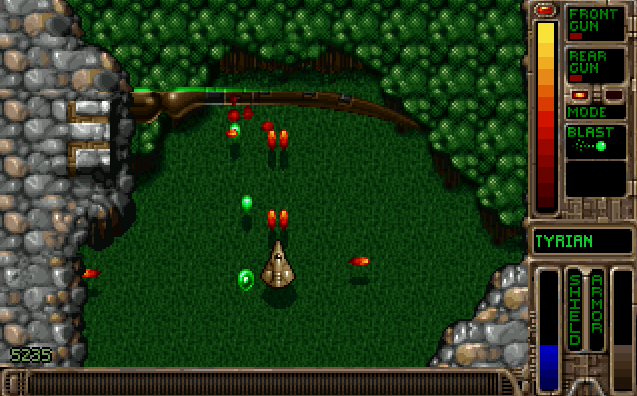 All in all, my verdict is that Open Tyrian is a super shoot’em! It is a must have on your AmigaOS 4 setup. If you haven’t played it yet, then head over to OS4Depot and download it! It’s free, it’s fun, it’s addictive! 🙂 Thanks to Varthall/Up Rough for bringing this game to AmigaOS 4! Ah ha, the secret second site! Does Open Tyrian add anything not in GOG 2000 version?